Preserving has been on my “to-do” list for a while. I’ve made one or two chutneys, one of which I blogged about, but only in small batches. These were eaten fairly quickly though, with none actually preserved. I’ve yet to immerse myself in preserving techniques, like smoking, pickling, drying, sugaring. All seem intriguing, but also slightly intimidating, given I’ve never made a jam or a marmalade. What is pectin anyway? Inspired however, by a recent post on Crackers blog, specifically by the pictures of their fabulous cellar shelves, filled with lovely looking things in an array of colours and textures, I committed to make an effort. An effort towards developing some preserving skills. And eventually to filling our cellar with homemade goodies, that we can draw upon throughout the year. Sounds appealing, right? So is the prospect of making large batches – enough to eat now, later, and to share with others, and give as gifts. I was thrilled when Kristoph’s mother arrived to visit us a couple of days ago, carrying under her arm a preserving pan for me. 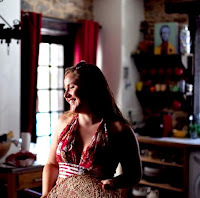 Keen to encourage my love of culinary pursuits, she declared a preserving pan is an essential tool of any cook’s trade. Lucky me! 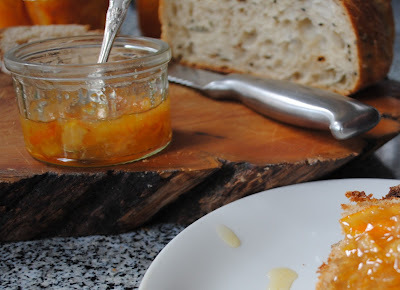 Clementine marmalade is also fabulous. 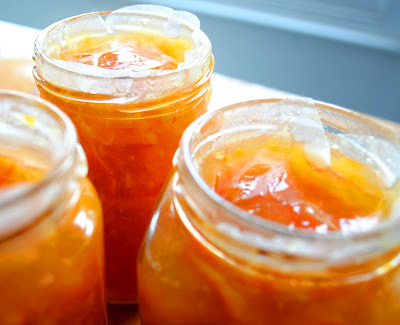 I have to confess, I am very proud of my five jars of Clementine marmalade. Kristoph smeared it on toast warm and declared it to be light, refreshing, and left his mouth believing it might soon be summer (we can only hope!). It's lovely swirled into yoghurt or porridge, and also pairs excellently with ripe brie and other soft cheeses. I used a basic Clementine and liqueur recipe from Preserves by Catherine Atkinson and Maggie Mayhew, leaving out the liqueur. Here’s the recipe. Although it is simple, there are few things you need to think about in advance. I now own a preserving pan, so I used this. But, you could also use a large saucepan with a heavy bottom. 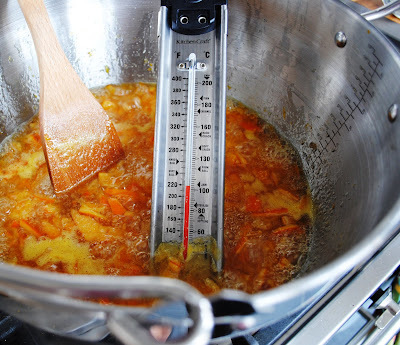 A sugar thermometer is also useful for checking the temperature of the marmalade, but I’ve provided an alternative method for testing this. You’ll also need five or six sterilised medium sized jars, and some muslin. You can buy it at cooks shops, or in any fabric store. You will also need wax discs to seal your jars. 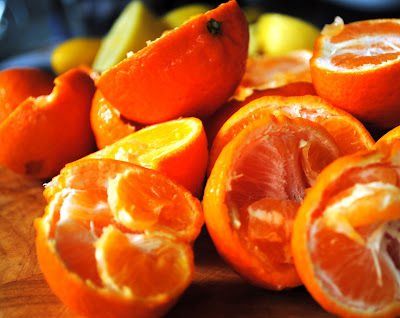 Step One: Slice the Clementines thinly and place in the preserving pan, reserving the pips. Keep in mind the chunkier the slices, the chunkier the marmalade. 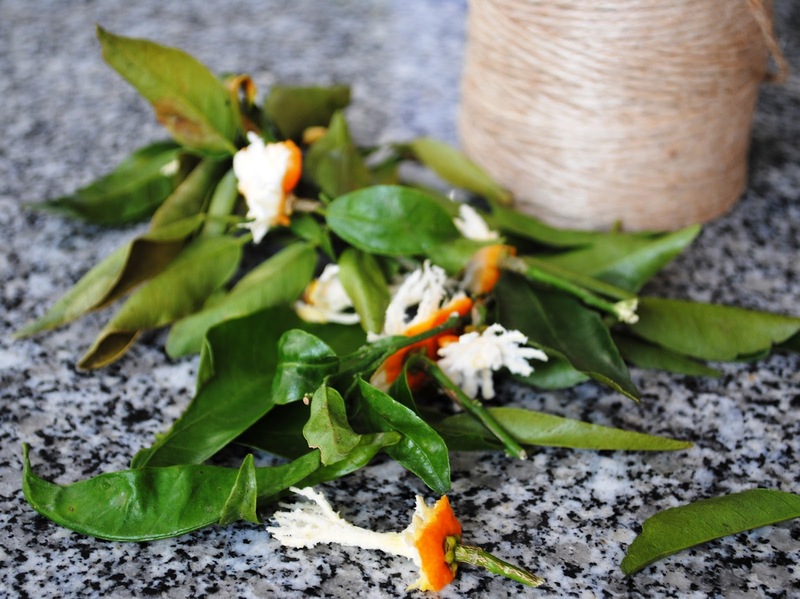 Place the lemon and Clementine pips in a muslin bag, and tie it to the pan handle, dangling it into the fruit. Step Two: Add the lemon juice and water to the pan and bring it to the boil. One boiling turn the hob down so that the mixture is simmering. Simmer for between 1 and 1.5 hours, or until the rind is tender. Once it is remove the muslin bag, cool it, and then squeeze the contents into the pan. Step Three: Over a low heat, stir in the sugar. Once the sugar is fully disolved bring the mixture to the boil. Cook the jam to setting point. This will take between 5-10 minutes. If you have a sugar thermometer drop it in. Setting point is 105C. 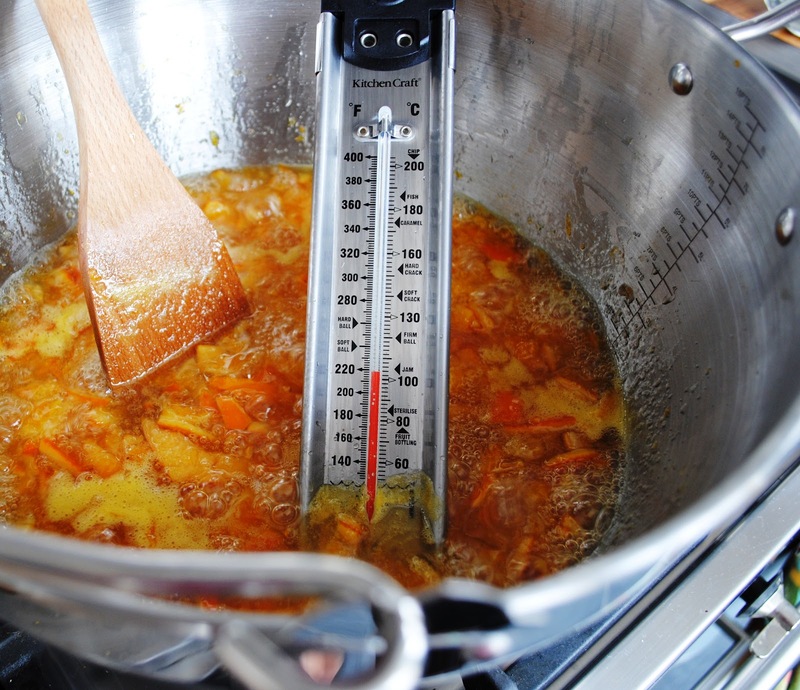 If you do not have a thermometer you can also determine setting point by spooning out a small amount of the marmalade and dropping it on a saucer. 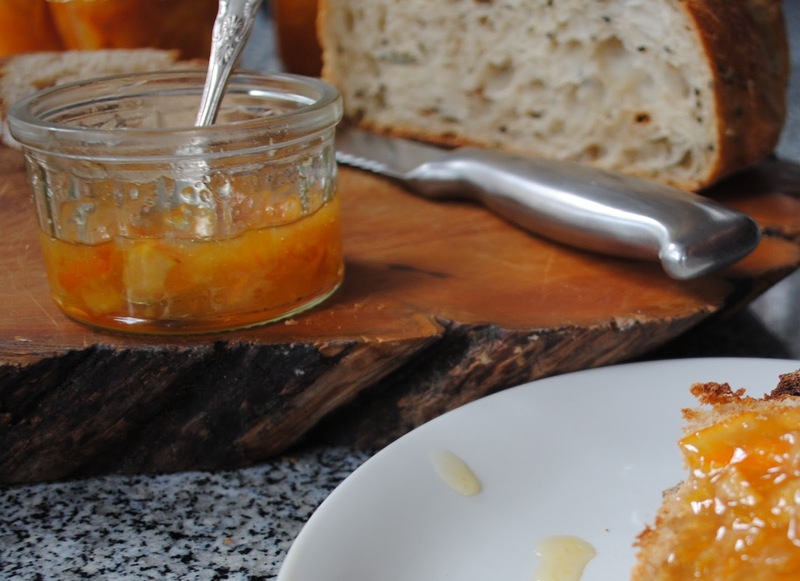 If you see a skin forming on the top of the marmalade, you know the setting point has been reached. Step Four: Remove the pan from the heat and cool for 5 minutes. Pour into warm steralised jars. The jars must be warm or they may crack. Seal the jars with wax discs, wax side down. Label and then store once the jars have cooled. The marmalade will keep for one year, so be sure to date the jars when you label them. Enjoy on toast, as we have been doing, or any way you like it! Any preserve ideas, favorite flavour combinations? Please leave me comments, questions, and requests below, I would love to hear from you! Thanks for reading. Orange and quince, loads of quinces around there, the smell of it cooking will beat anything else you have tried so far! I just made lemon and lime. Really tart but beautiful nonetheless. Easy to do. 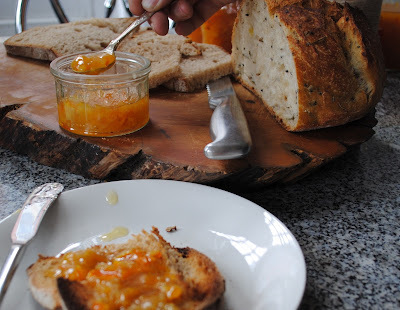 Prior to that I made a Clementine marmalade but could only get a soft set. It was lush but runny, I carry a bottle of certo in made arsenal now. Just in case. Going to try your recipe today. we spend part of each summer and fall on an island off the coast of Maine, where jam making with the local produce--blueberries, raspberries, peaches, plums, etc--is a honored tradition. So imagine my surprise to find a bag of clementines at the local market one day. I couldn't resist the challenge and found your recipe on line. It was a big hit with the neighbors who appreciated something so "exotic. My local cash-and-carry was selling 2.3kg boxes of clementines yesterday for £2.50 per box. I couldn't resist them. I tried your recipe for the first batch to which I added Cointreau, and it was stunning However I the fruit was so juicy that I lost a lot of it when slicing the fruit. So the second batch I put in the food processor instead of slicing by hand. I also added some ouzo. I always turn the pots upside for a while after sealing as this seems to stop the peel going to the bottom of the jar. Two more batches to go and would welcome any suggestions. What is a "pip"? Do you mean seeds??? Get down here to Bencassim, Clementines galore right now. 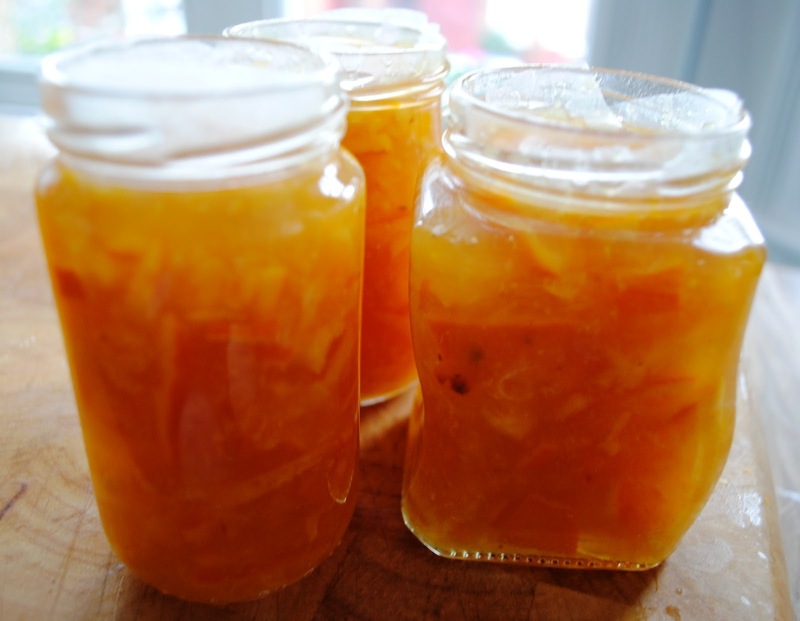 I am looking for a simpler recipe, we are travellers across Europe but we are where it is the warmest right now so I preserve fruit surplus in jars with alcohol and sugar, mainly demarara sugar with a clear or coloured spirit and the fruit travels with us. Hey, wild figs with oak blossom honey and Calvados were great for Christmas. And we still have last year's mixed fruit from Gloucestershire in rum and the light brown sugar. Wow. Way too much sugar in this recipe. Reduced to 1kg and it was still too sweet. Maybe increasing the amount of lemon would have helped. Thank goodness my mother doesn't mind sweet at all. 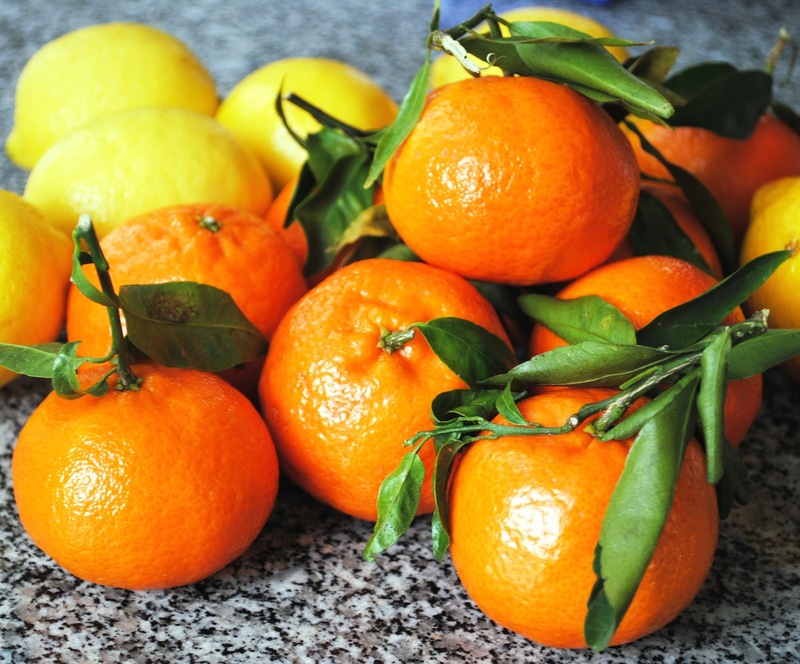 Do you not use the lemon rind in the marmalade, just the juice? Thank you. This looks absolutely delicious. 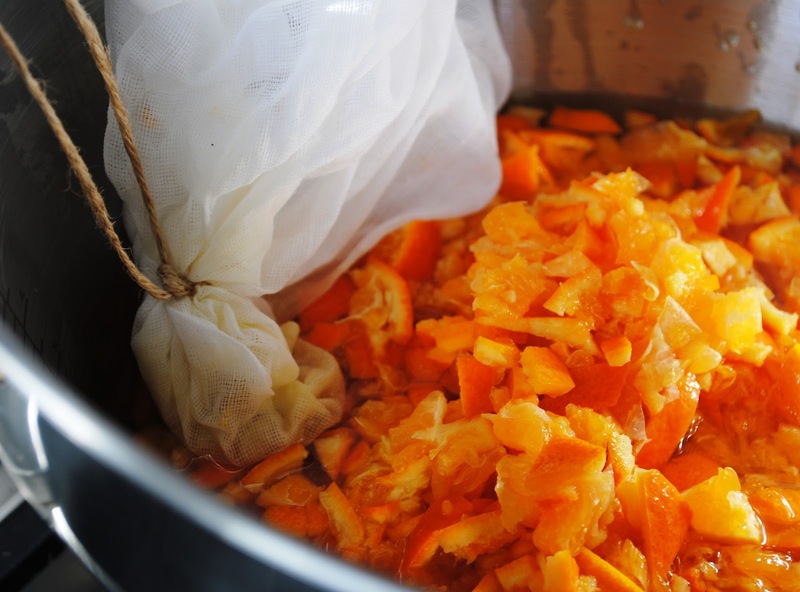 Cannot wait to make my own marmalade at home! Thank you for sharing!